HMD Global is made up of a number of ex-Nokia employees who decided to form a new company once Microsoft ended up floundering in the smartphone market. They started to license the Nokia name so they could release smartphones under the well-known brand. Since then, they have released a range of devices that cover the majority of the Android market from affordable low-end smartphones to more expensive high-end devices. The Nokia 2 is one of the more affordable options and now owners are able to update to Android 8.1 Oreo, but only if they want to. The Nokia 2 launched with the Qualcomm Snapdragon 212 SoC and a 4,100mAh capacity battery which made it an attractive offer for $100. However, to bring the price down this low and still make a profit the company had to make a number of sacrifices. This meant the build materials used for the back are plastic and that its memory capacity is 1GB of RAM and 8GB of internal storage (although the storage can be increased thanks to a microSD card). The 1GB of RAM is what worried people when Google introduced Android Oreo Go Edition. 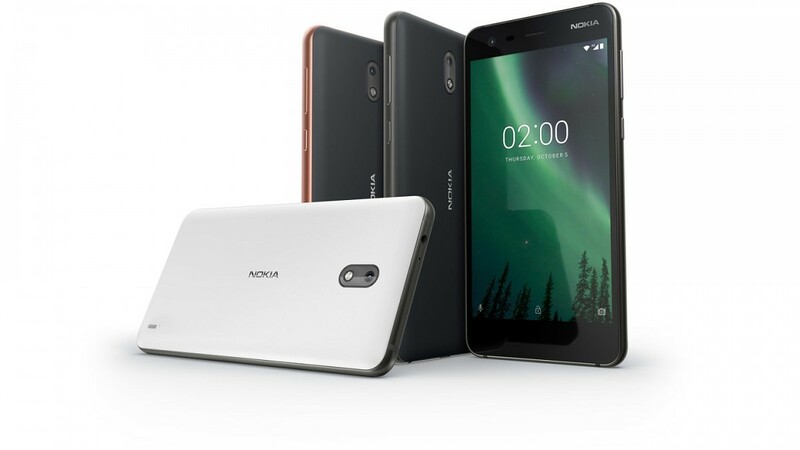 See, the Nokia 2 launched with the full version of Android 7.0 Nougat but then Google decided devices with 1GB of RAM were to ship with Android Go. Android Oreo (and even Android Pie) were built with this in mind so they require a bit more resources to perform at a proper performance level. Sadly, there isn’t a way for Nokia to officially swap a device with a full install of Android to the Android Go program. However, the team at HMD Global didn’t want to sell a device that didn’t receive a major Android update either. So they ended up working with both Google and Qualcomm to get Android Oreo working well enough on the Nokia 2. The company even admits there is a trade-off on the snappiness of the experience if you choose to upgrade to Oreo. But note that not everyone is able to do this update. The announcement post lists a number of operators and countries that will not permit the device to be updated to Android Oreo. If you’re able to though, and you are okay with the potential downgrade in performance, then you can sign into your account at the link below to start the update process.